Popular US rock band formed by Rob Thomas (b. 14 February 1971, Germany; vocals), Kyle Cook (b. 29 August 1975, Indiana, USA; guitar), Adam Gaynor (b. 26 November 1964; guitar), Brian Yale (b. 24 October 1968, USA; bass), and Paul Doucette (b. 22 August 1972, Pittsburgh, Pennsylvania, USA; drums). Thomas, Doucette and Yale formed Tabitha's Secret in 1995, but quickly left that band to join forces with Cook and Gaynor. The new quintet's extensive touring schedule, aided by several demo tapes recorded for producer Matt Serletic, brought them to the attention of Lava, a subsidiary of Atlantic Records. Now known as Matchbox 20, the band's debut album was given a boost when, on the day it was released, Lava was brought under the major label's auspices. Given greater promotion and access to Atlantic's marketing departments, Yourself Or Someone Like You quickly gained a tenacious foothold in the Billboard Hot 200, eventually peaking at number 5 and achieving multi-platinum status. The promotional single, "Long Day", also proved a minor hit on America's modern rock radio formats. The follow-up, "Push", was an even bigger radio hit, although Thomas was forced to hastily explain the rationale behind lyrics relating to emotional and physical abuse. 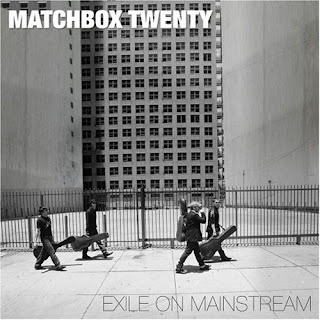 Matchbox 20 continued to tour heavily on the US club circuit, helping push the album to its exalted position on the Hot 200. Thomas enjoyed even greater success as the featured vocalist on Santana's US chart-topper "Smooth", the surprise hit single of 1999. Undergoing a slight name change (from Matchbox 20 to Matchbox Twenty), the band released their sophomore collection Mad Season the following May. "Bent", a shining example of the band's inoffensive mature rock sound, climbed to the top of the Hot 100 two months later. The band's third album More Than You Think You Are, although eagerly awaited by the fans, delivered less than anticipated.